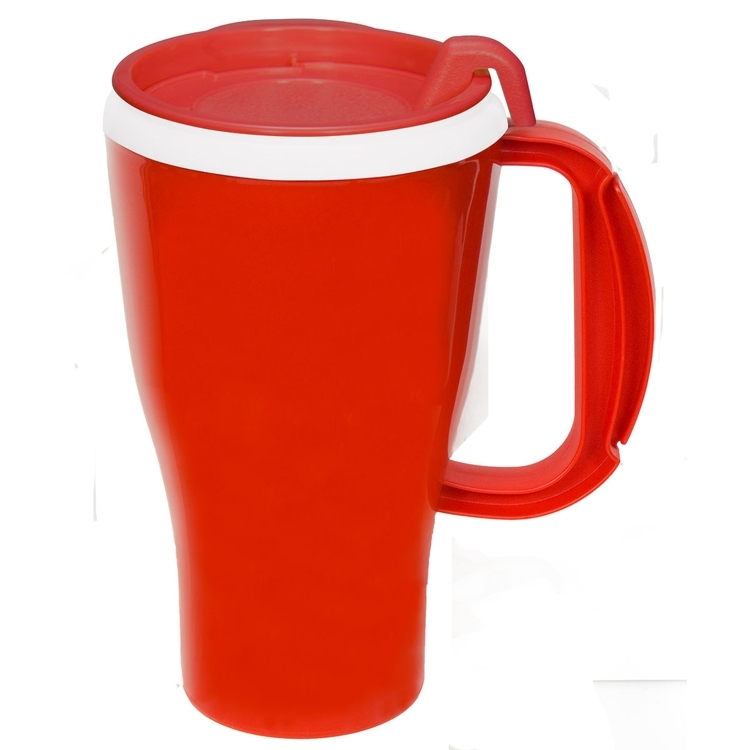 GT Mug with snap-on spill-resistant thumb slide lid, 16 oz. Whether clients enjoy the brew with cream and sugar or if they prefer hot or iced tea, mug has the handle on every beverage situation. Its quality, double-walled construction, convenient slider lid and cushioned ergonomic handle make sipping a favorite beverage even more of a treat, Dimension : 5 1/4" W x 6 3/4" H. Top-rack dishwater safe. FDA & Prop 65 compliant Polypropylene material Made in the U.S.A.
Save some money with this clearance product. Our popular Omega mug but with a white inner wall while supplies last. Make sure your brand is the first and last thing your customers see daily with this Omega mug! The 16 oz. 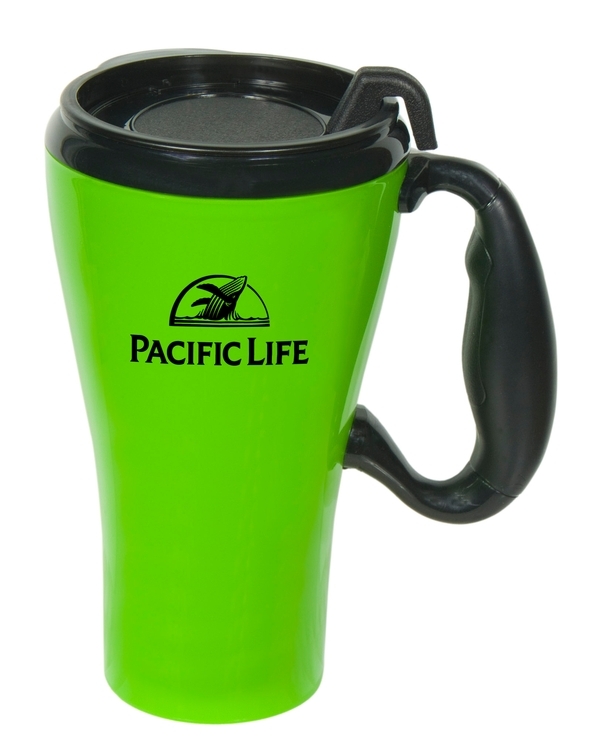 mug features a snap-on, spill-resistant thumb-slide lid and measures 5" W x 6 1/2" H. The double-walled construction and BPA free polypropylene material helps keep coffee hot or sodas refreshingly cold. It's made in the USA and can be customized with a silkscreened imprint. It's top-rack dishwasher safe and FDA & Prop 65 compliant. Every budget-minded advertiser can appreciate the quality of this mug! CLOSEOUT PRICING - $27.99 (C) when your order 25 pcs or more. You can purchase blank or imprinted. If you prefer to brand with your logo add a set up fee of $50 (g) to your order. 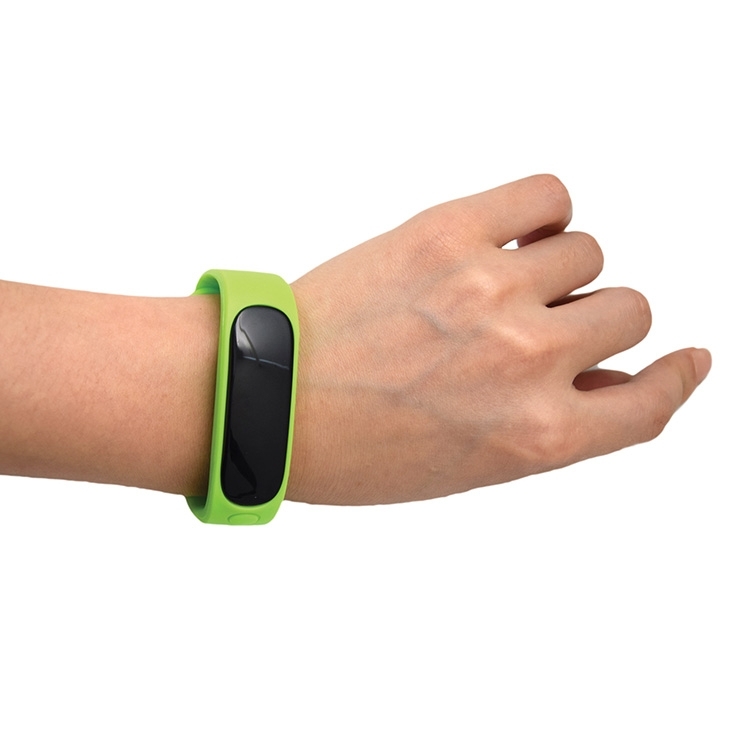 The smart sports bracelet has multiple functions, including steps, distance and vibrating alerts. It has Bluetooth application integration, allowing for easy use.